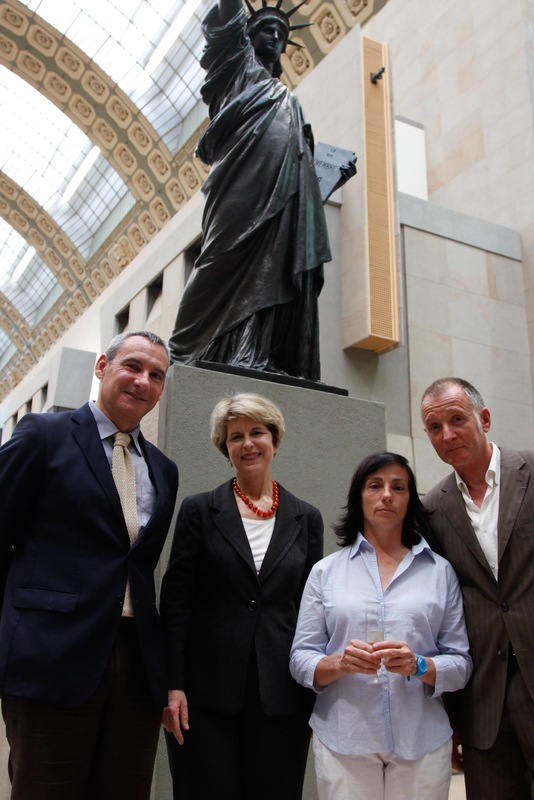 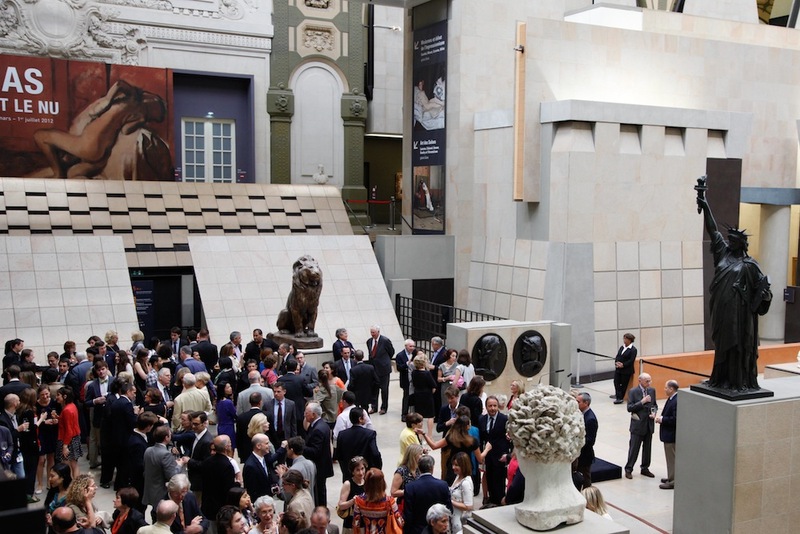 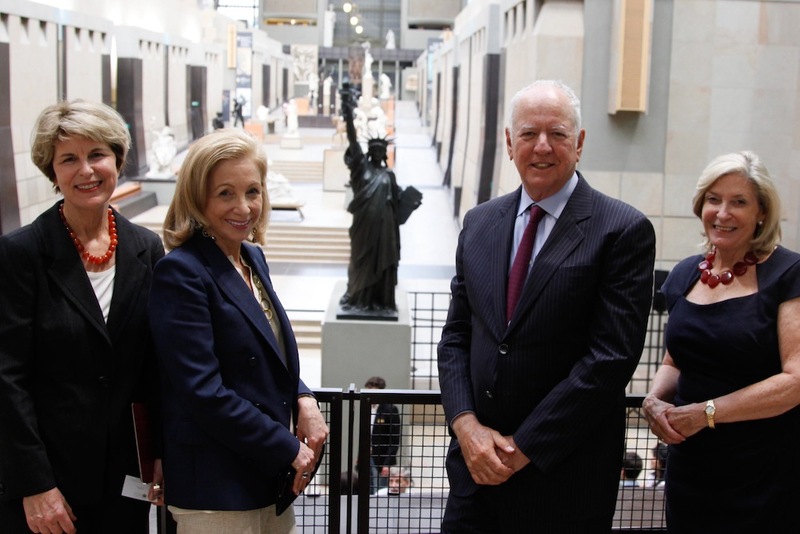 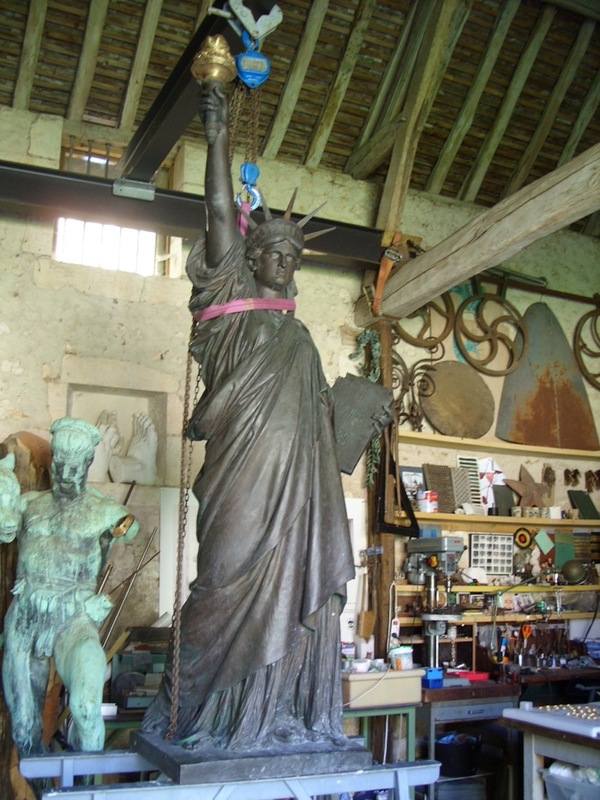 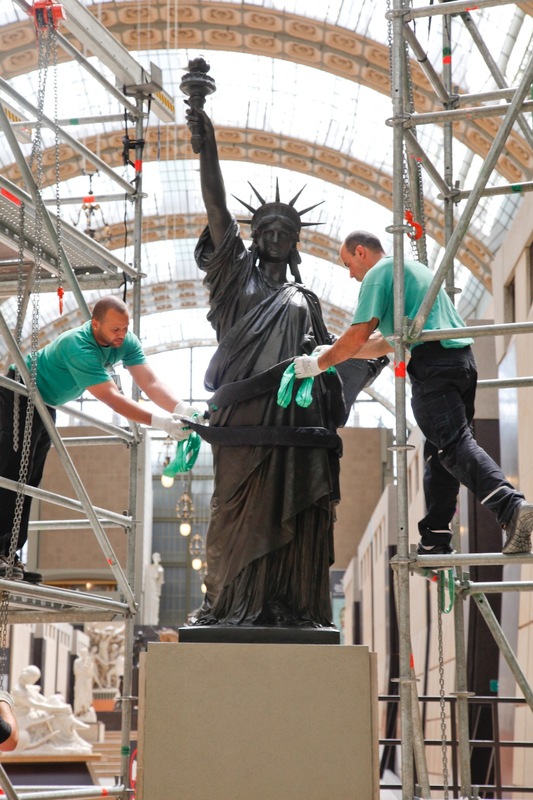 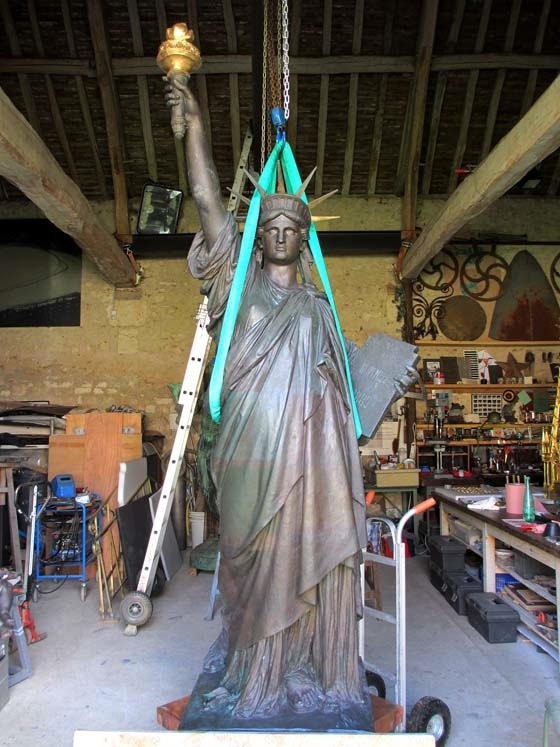 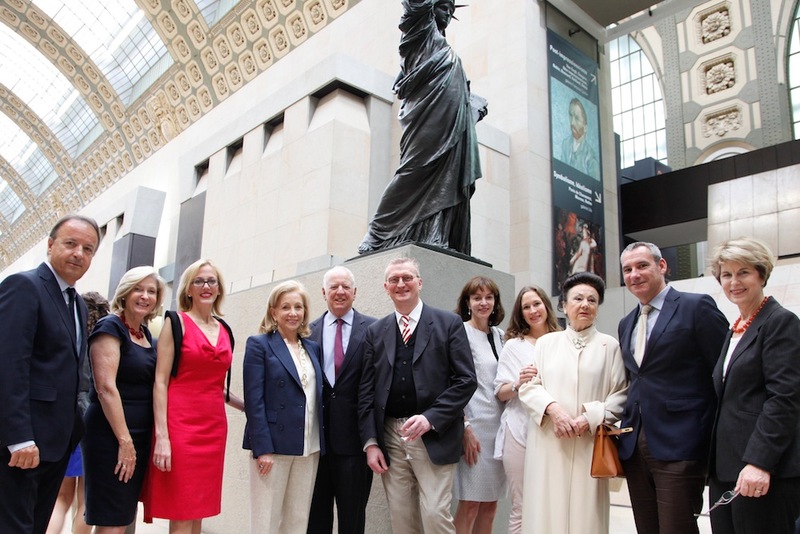 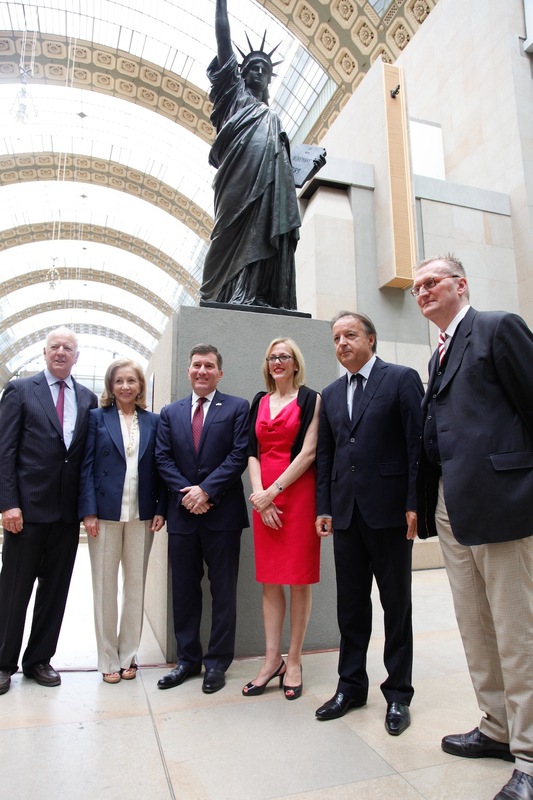 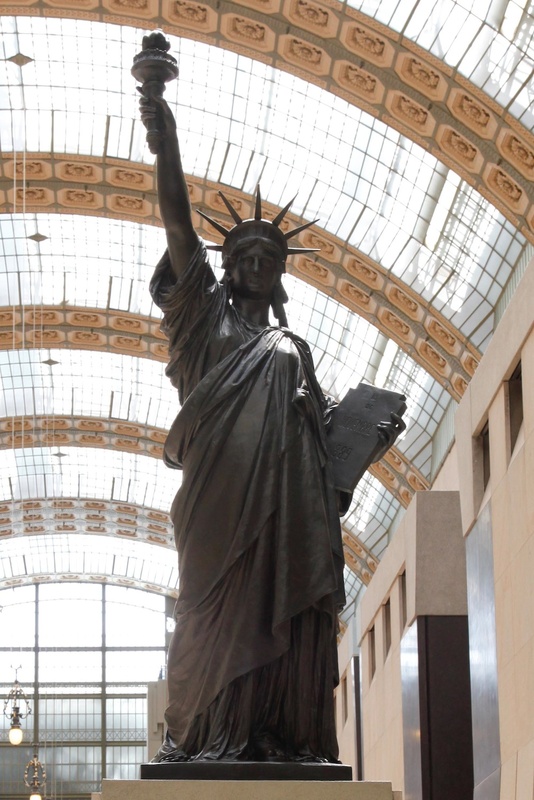 On the eve of July 2, 2012 the restored Liberty Enlightening the World arrived in its new home in the nave of the Musée d’Orsay by museum President Guy Cogeval and honorary guests M. Jean-Pierre Bel, Président du Sénat; His Excellence Mr. Charles H. Rivkin, United States Ambassador; and Mrs. Susan M. Tolson, Honorary Chair of AFMO. 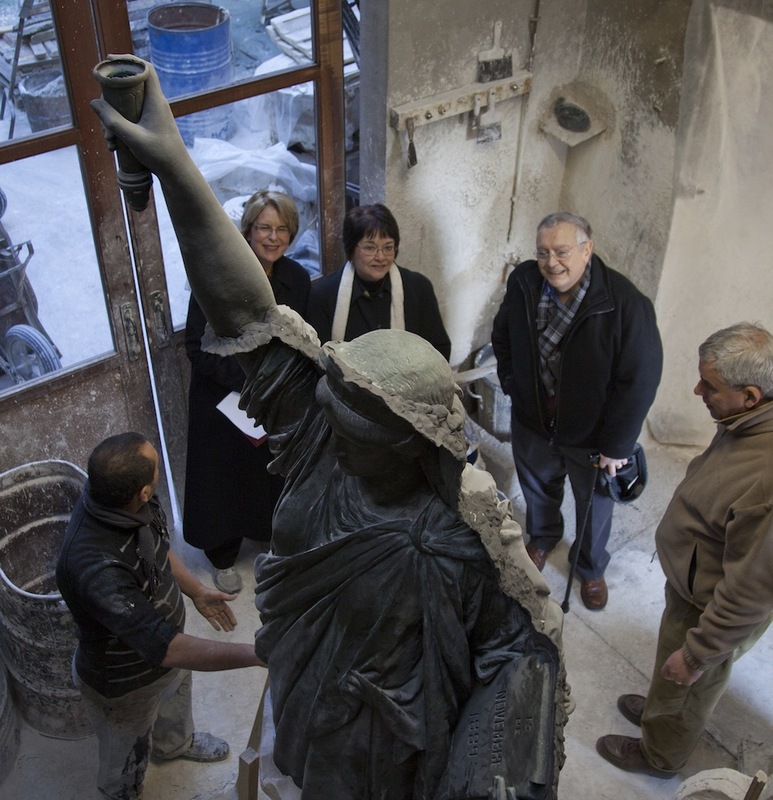 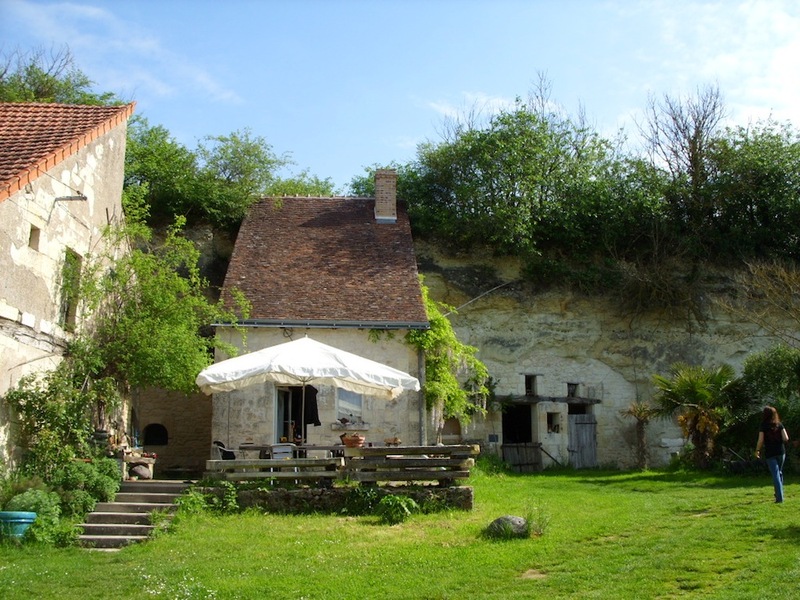 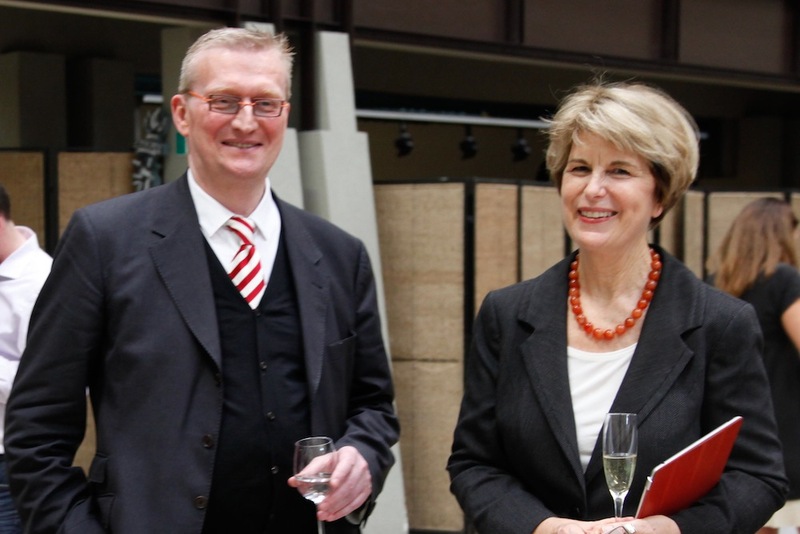 Restoration was made possible through AFMO memberships and the proceeds of the Fall 2011 Gala. 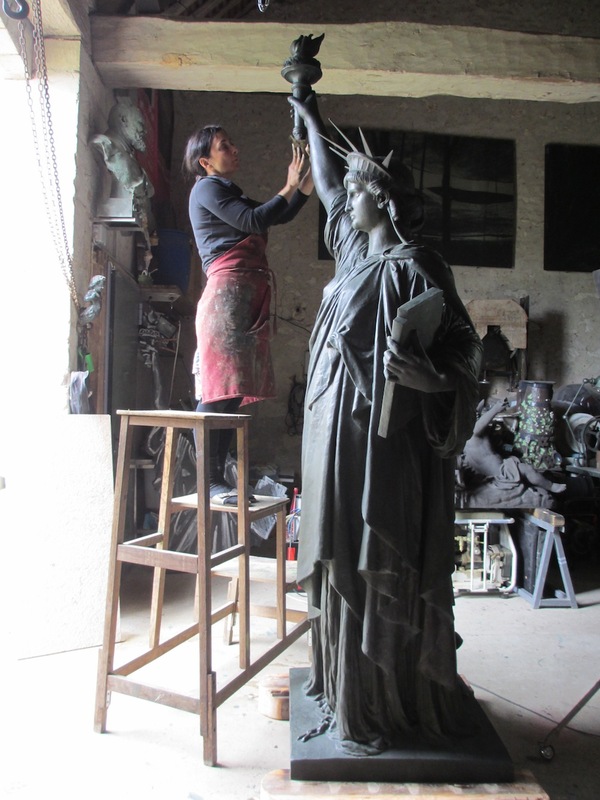 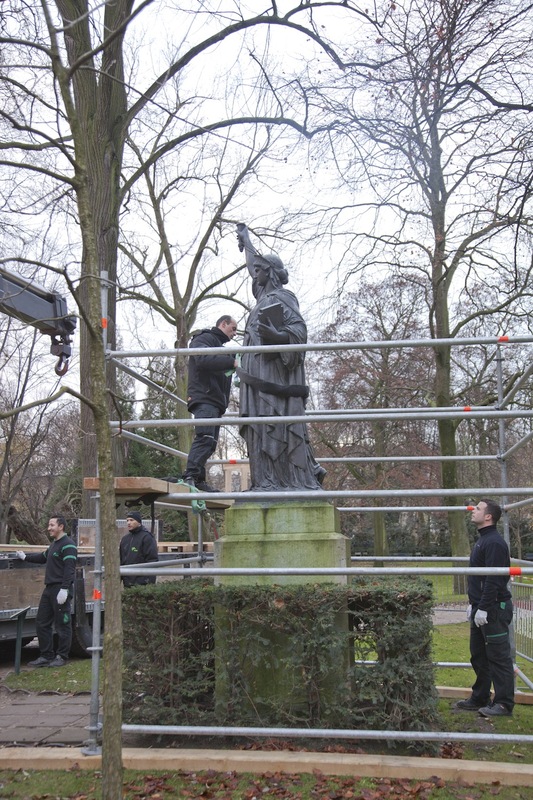 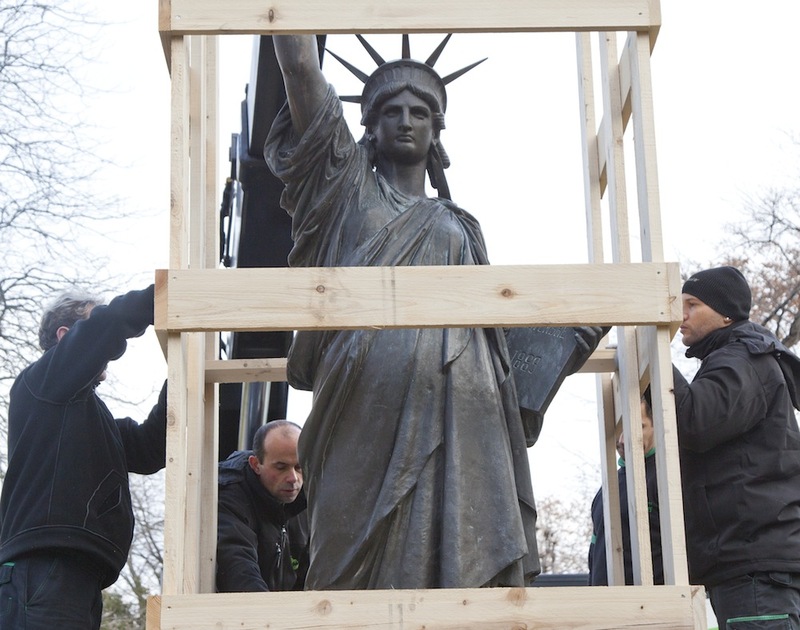 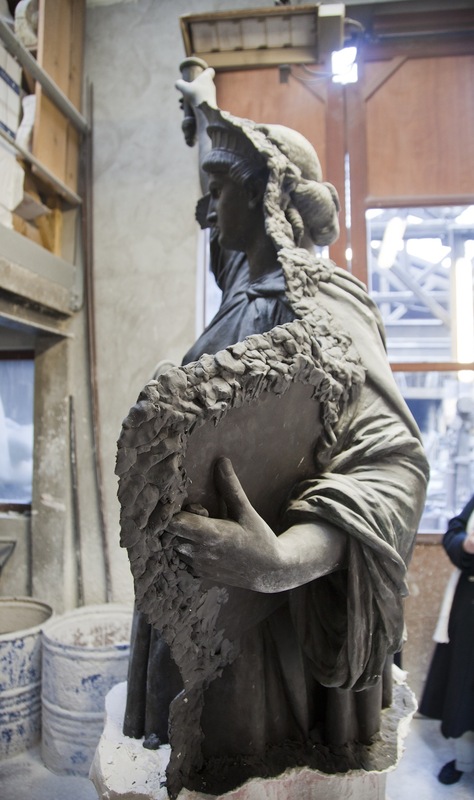 Restoration began this past fall when she was removed from the Luxembourg Gardens.